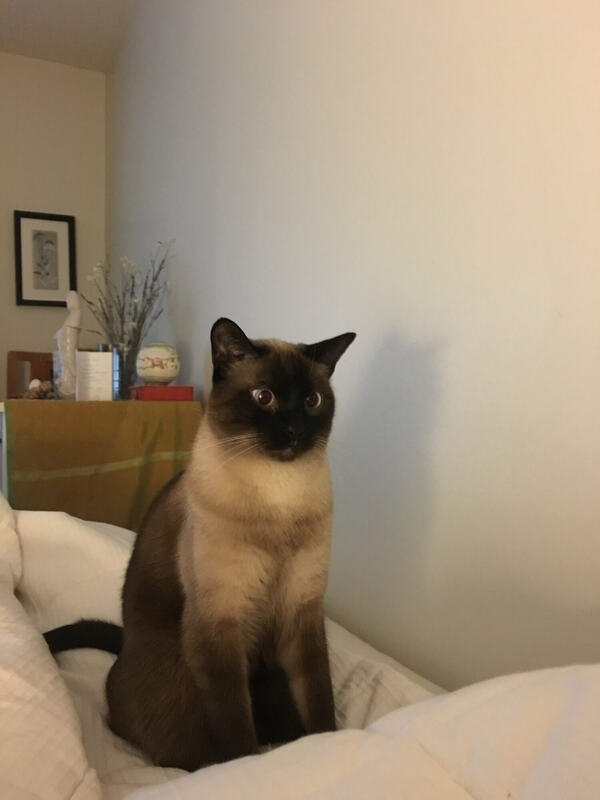 Sam, my 3 1/2 year old Siamese male cat, is looking for just the right home. Sam is a large, beautiful, nice cat with lots of energy. He lives with me in a 224 sq ft apartment. He would do best in a good sized house, large apartment or large condo. Sam has never been outside except in his carrier traveling to his vet. Sam is very playful and especially loves interactive play with his DaBird toys. He is very clean, grooms himself frequently and uses the litter box to perfection! Sam and I are very bonded. Unfortunately, I am not able to provide the interaction required given his indoor status in a small environment and I feel he deserves better. 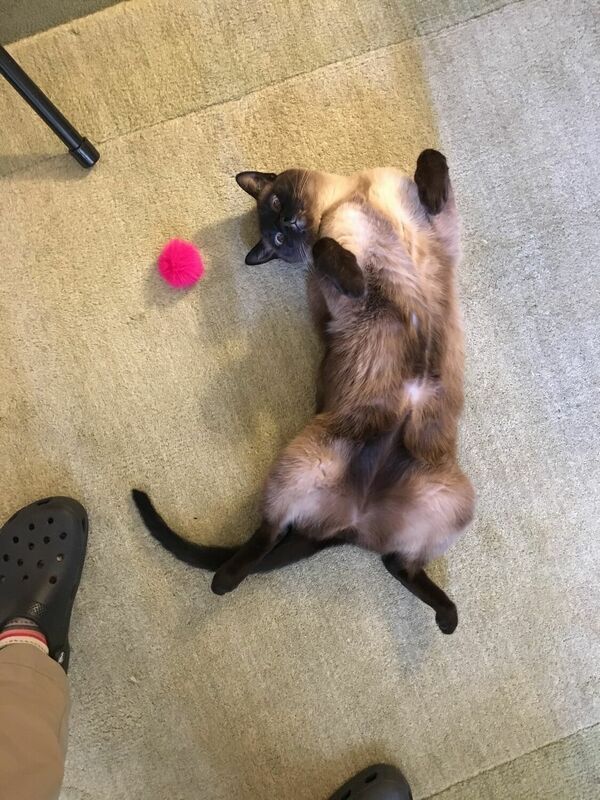 If you love cats and have good insight into the world of Siamese cats and, in particular, Sam’s needs ~ Please contact: Jeni: jshilman@gmail.com. $50.00 rehoming fee.